SEOUL (Bloomberg) -- Mahindra & Mahindra Ltd., India's largest sport-utility vehicle maker, may jointly build new cars with Ssangyong Motor Co. if it successfully takes control of the troubled South Korean automaker. The companies may develop a new vehicle platform, Pawan Goenka, president of Mumbai-based Mahindra's automotive and farm-equipment division said on Monday in Seoul after Mahindra signed a preliminary agreement to buy a majority stake in Ssangyong. A stake in Ssangyong, which is operating under bankruptcy protection, may help Mahindra become a leading maker of SUVs, Goenka said. Mahindra, chosen as the preferred bidder for Ssangyong earlier this month, may revitalize the company after the maker of Rexton SUVs failed under the control of its previous foreign owner, China's SAIC Motor Corp.
SAIC, which bought a 49 percent stake of Ssangyong in 2004 for $500 million, was criticized by unions and small shareholders for not investing enough in the venture. 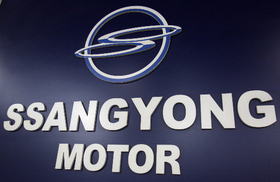 Mahindra didn't disclose the size of its bid for Ssangyong, which has a market value of 401.9 billion won ($340 million), according to Bloomberg data. MoneyToday, a Korean-language online newspaper, said earlier this month Mahindra offered 535 billion won for a controlling stake, citing an unidentified industry official.